Can I Call It Land of A Thousand Hills After Rwanda? On our way to Cañar Province. 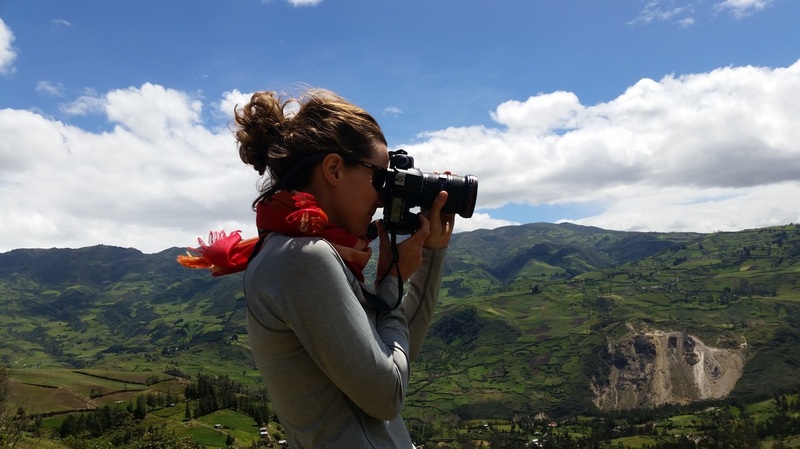 Ecuador if a fascinating country; mountainous with a handful interesting sights. It's topography and landscape have reminded me my home country Rwanda. 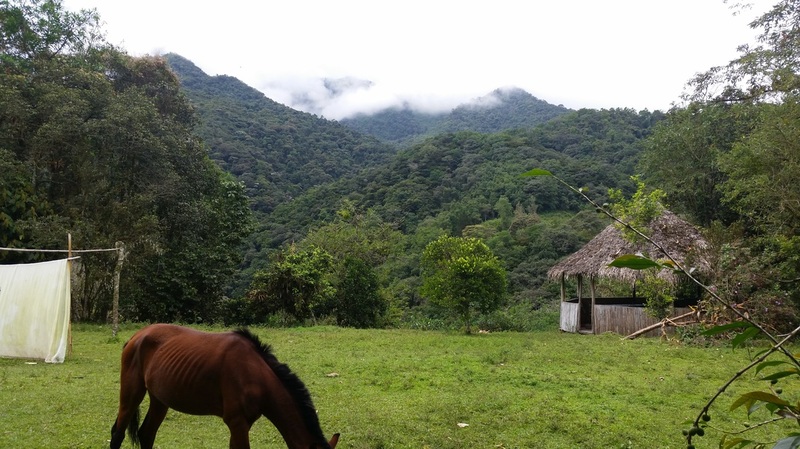 On the last two weeks of a Neotropical Agroecology class, driving places to place was spectacular. We’ve made several stops just to enjoy the view and took many pictures as we drove around. Armando who was our driver in a very nice red van, can tell the story much better, because he knows how many times he had to clean the windows of his car due to nose and finger prints we were living on it as we were contemplating and taking pictures of landscapes. It was interesting to see how the landscapes change from place to places. Here are some of the most impressive sights that we were able to capture on camera. This is simply a viewing experience. Please enjoy! Cloud Forest as we were driving to Intag. 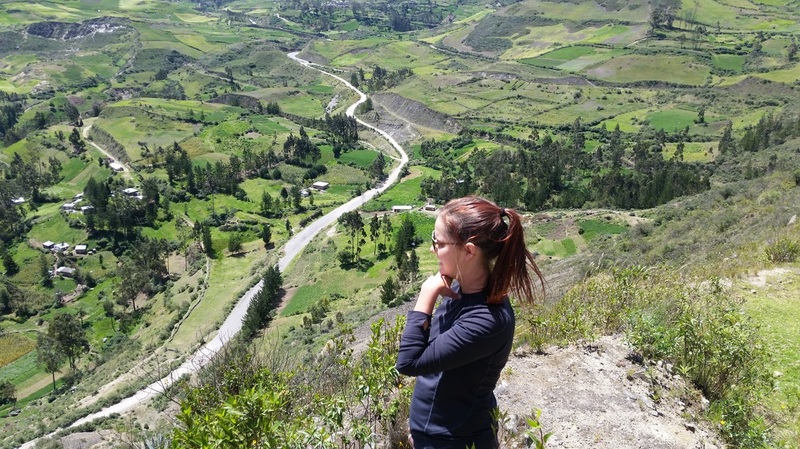 Macy Hagler, contemplating the landscape as we were driving to Cañar Province. Janel and I playing Batman. Julianne a.k.a The National Geography (NG). On our way to Ingapirca. However, as we were driving our excitement were not only hills and landscape or counting dogs which were not on a leash (which is something we have done until to the point of we lost count! ); we have also made a couple of stops and pose in quinoa fields. AgroCOUGology group posing in Quinoa fields on ou way to Cañar Province. 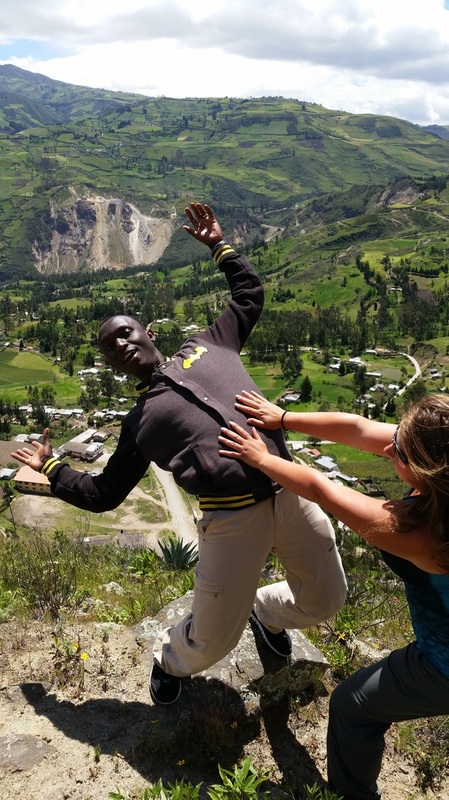 Talking about driving, driving in Ecuador is not for the faint of heart. While the roads we took were well maintained and nice the speed limit was often respected, plenty of drivers ignore some basic rules of the road such as slowing down and forming lines along blind, mountainous hairpin curves lined. When stuck behind a slow-moving truck on such a stretch, it is not uncommon for the car behind you to attempt to pass. As that car speeds up, the driver in the vehicle behind it will often decide to pass both you and the other car. Then a third car will inevitably race ahead. It was interesting! 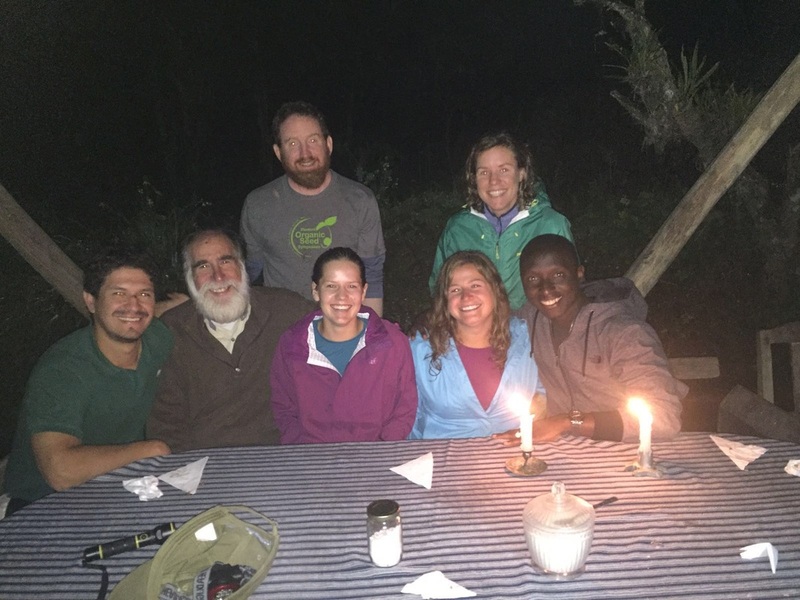 As reflection on the last two weeks, this Neotropical Agroecology class was a transformational trip; exploring the complex agroecological systems of the cloud forest and altiplano ecosystems of Ecuador and working hand in hand with Cañaris indigenous group farmer association of seed and grain producers was a great experience. 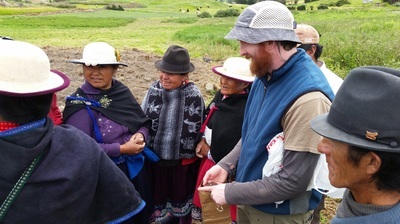 Meeting with Cañaris indigenous group and planting barley and quinoa varieties. It was also a great experience to learn about land degradation and its recovery. 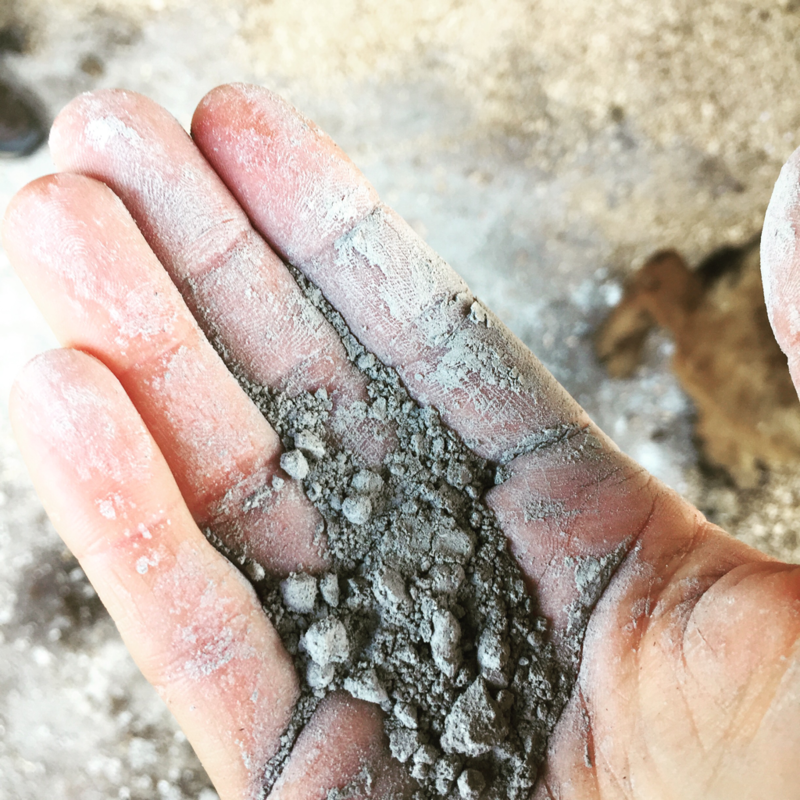 The Cangahua soil, which is soil with cemented subsurface horizon which may extend to a depth of more that 150Cm. This soil is slow permeable to water and it does not permit the penetration of roots. 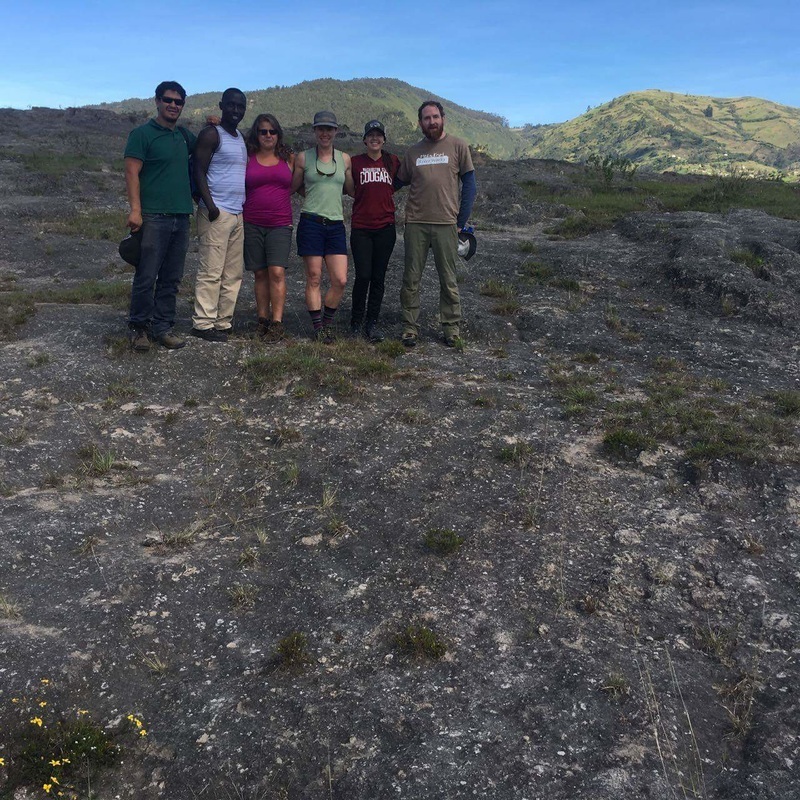 AgroCOUGology group on Cangahua soil in Illalò. Stephen Sherwood a co-founder of EkoRural; an organic farmer and food activist based in Ecuador as well as a lecturer and research fellow with the Communication and Innovation Group at Wageningen University, shared with us all the recovering process of this soil and we have also had EkoRural urban/rural interface discussion. 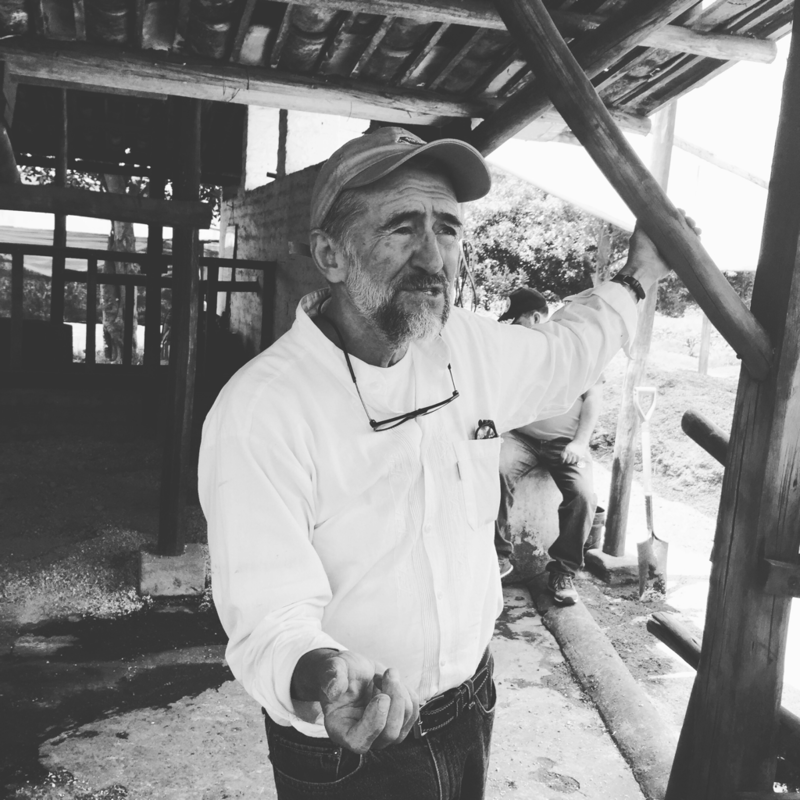 And John Danne walked us through agrosilvopastoral farm on Cangahua soil. 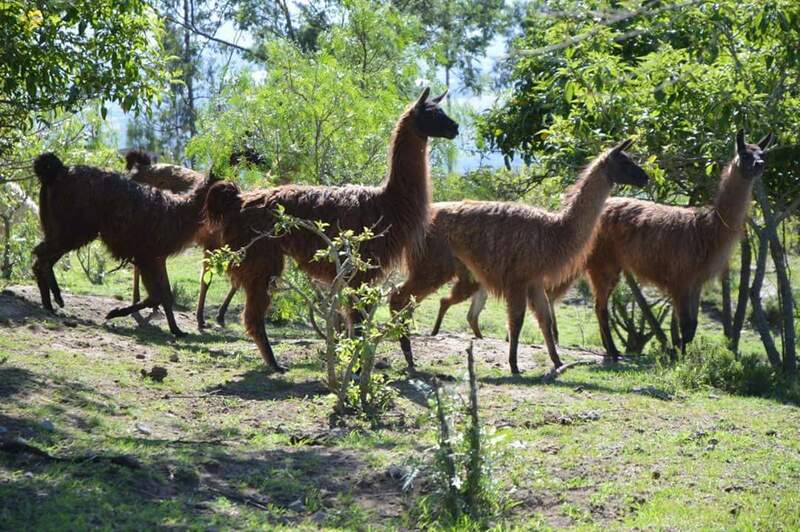 Llamas in Illalò at John Danne's farm. In closing, I'm grateful for good friends the #AgroCOUGology group for their great sense of humor and for making this trip fun and memorable. I feel so privileged to have got this opportunity to learn a diverse set of participatory research methodologies. 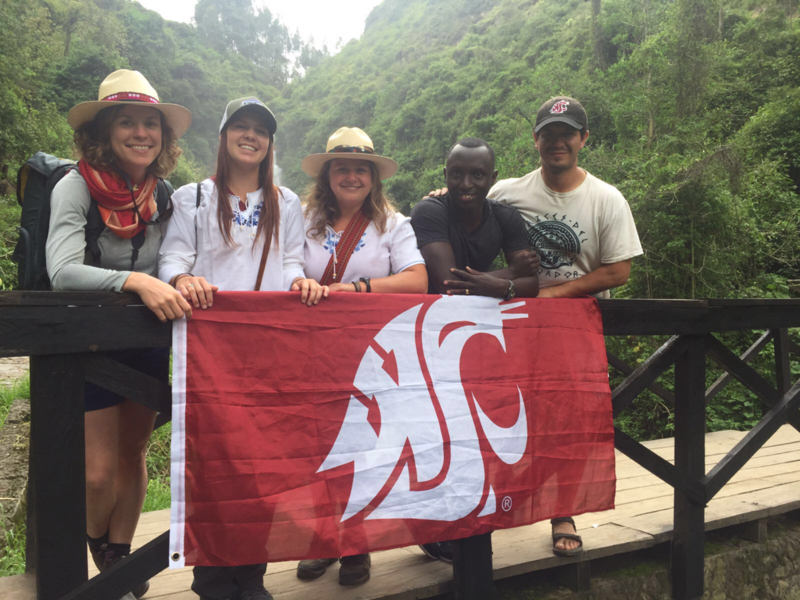 I'm also thankful to WSU CTLL (Center for Transformational Leadership and Learning), CAHNRS and International Program for offering this opportunity. 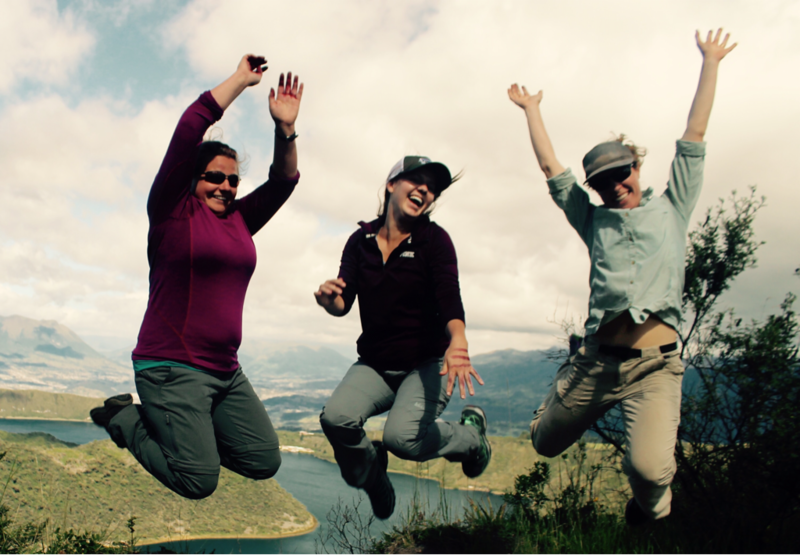 AgroCOUGology group on the top of Cuicocha Crater lake in Cotacachi. In the middle of the hottest of the hot spots of the world's ecosystem; The Intag Cloud Forest. 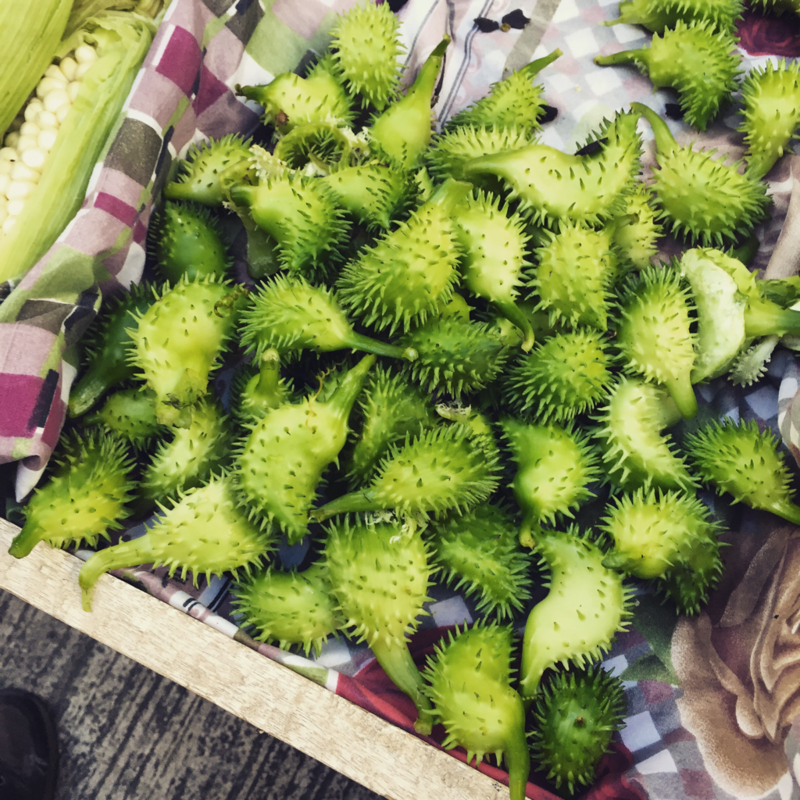 After our three nights in Cotacachi, we headed to Intag Cloud Forest and stayed at the Intag Cloud Forest Reserve and Educational Center. A very beautiful place situated on the very biodiverse western slopes of Ecuador ' s Western Andes in the middle of Cloud Forest with the sound of waterfalls and birds singing and butterflies flying all around. Arriving at Intag Cloud Forest Reserve and Educational Center, Carlos Zorrilla and Sandy Statz welcomed us and we were given introduction to Cloud Forest. The Intag Cloud Forest is among the world's hottest endangered ecosystem. 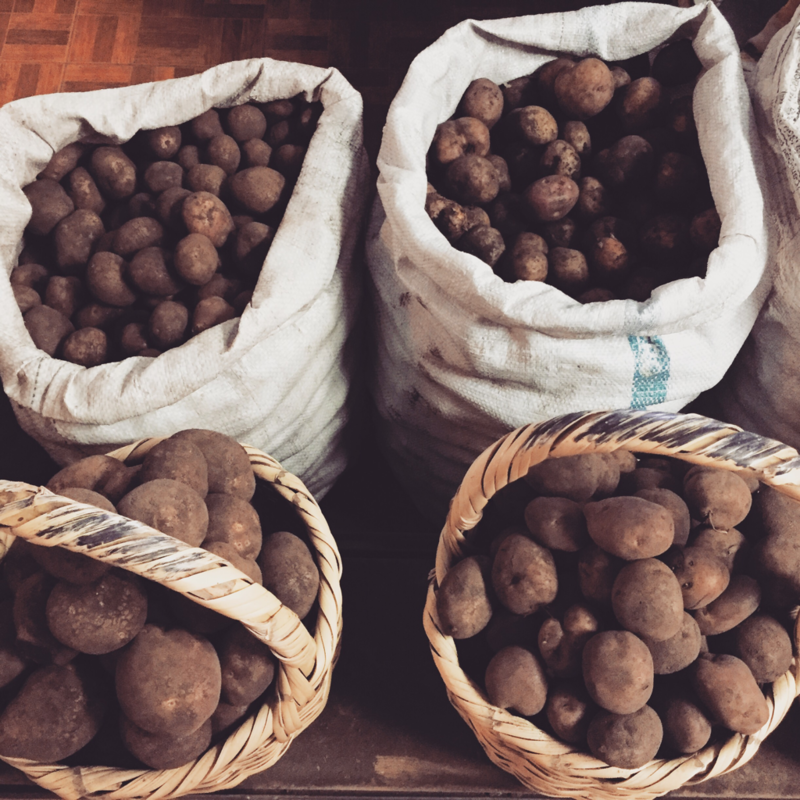 According to Carlos, it is botanically super diverse with a potential value of its flora and fauna to Ecuador and the rest of the World. The tropical Andes which includes Intag Cloud Forest, contain approximately 15-17% of the world's plant species and almost 20% of its bird diversity. ​However, the biggest challenge and concern that Intag Cloud Forest is facing; is that it is situated in the region that industrial copper mining projects tend to destroy thousands of hectares. Mining is very disastrous to environment and ecosystem in general and causes serious problems to flora and fauna and people in the communities. According to Carlos it creates in long term a project of desertification and water contamination with heavy metal. We learned about cloud forest ecology, conservation, basic entomology, ecological farming, environmental activism, mining and the communities. It was a very unique opportunity to listen to first-hand account of all the initiatives of ecology conservation. 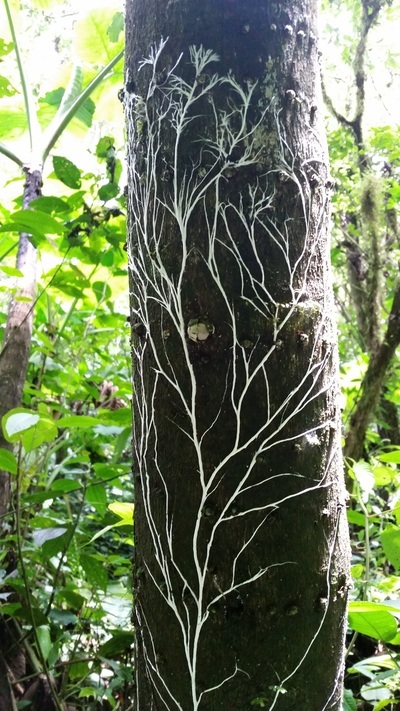 Carlos shared with us his experiences of two decades ago; his involvement and initiatives in conservation of the ecology of Intag Cloud Forest. His passion and dedication have led to a successful resistance to two major mining projects in Intag Cloud Forest and has created a sustainable community ecotourism and ecological farming. Carlos added that mining does not only have negative effects on the ecology; it also causes issues on social walfare of the people in the community; it causes socioeconomic conflicts and crimes. 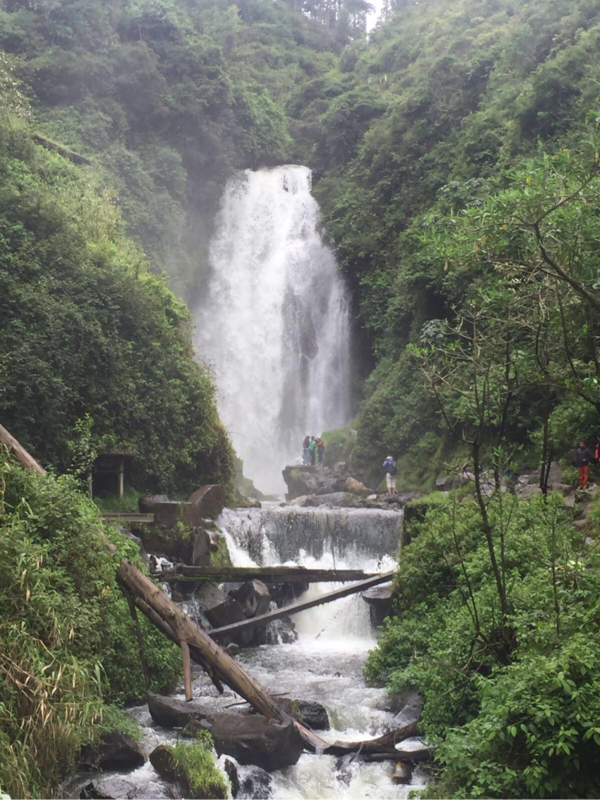 After an exhausting walk through the animal market and amazing shopping in La plaza del Pocho in Otavalo, we decided to do a quick visit one of the awesome waterfalls in the area: “Peguche waterfall”. Kevin and Cedric had a bet to see which taxi arrived first to the place. Unfortunately for Cedric, he lost so Kevin didn’t have to cook at night. However, Kevin did the dishes. After 10 min walking and seeing different Andean vegetation, we saw the nice waterfall of 20 meter (65 feet) tall. Cedric was so excited and started to walk with the Cougar flag close to the waterfall. When we went back to Cotacachi, we had the opportunity to travel on a popular bus in the city. 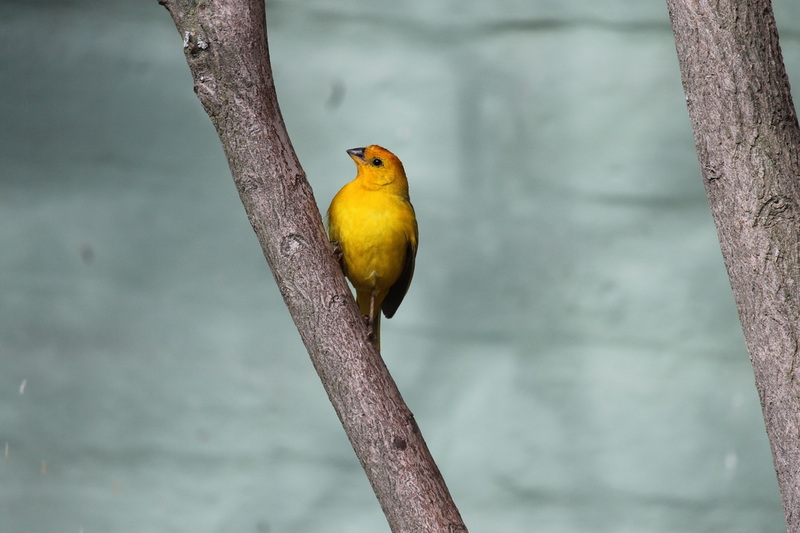 Our first night in Ecuador, we were warmly welcomed by Mercedes at the Puembo Birding Garden. After a welcome nights sleep after our long journey we awoke to plethora of chirping and songs from the many varieties of birds which enjoy this serene garden. 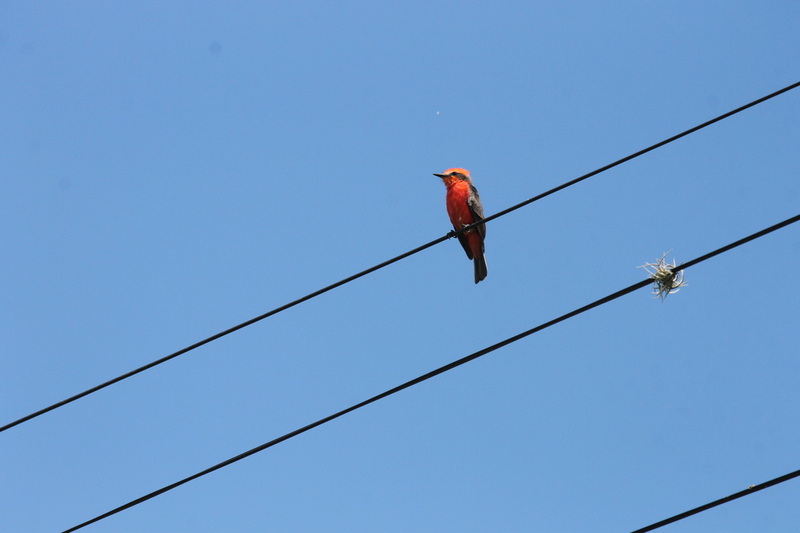 Just a few of the species spotted here were the Saffron finch who's color was a striking yellow and orange, and the Vermilion fly catcher also bore unique colors of red and gray. After breakfast Mercedes relived her exploits to Loja Ecuador where she worked alongside bird expert Dr Robert Ridgely who first noticed this unique bird by their distinctive bark like chirp. 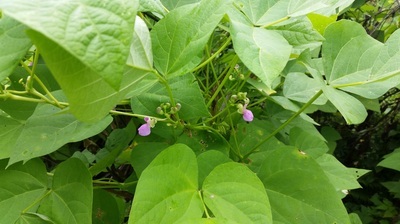 The discovery of this new species named Jocotoco, spurred the conservation of the area which was being forested at the time of this expedition. Mercedies also told us about the inside joke of trash birds; where some avian species are seen so many times they are boring and considered 'trash birds'. And after the Jocotoco, many of the birds become just that to those who where present. Soon after the Jocotoco foundation was formed and through their efforts over 30,000 hectares have been preserved for the many bird species which are indigenous only to Ecuador. These birds tend not to migrate and are uniquely suited for the microclimate from which they originate. This means that any climate or environmental change can impact the future survival of many species. 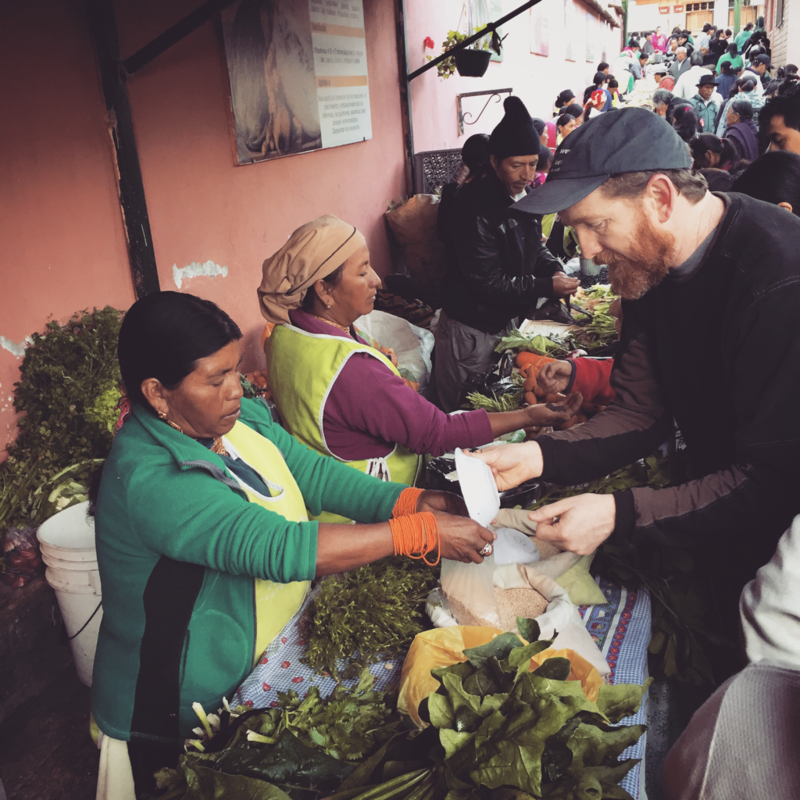 Several us ventured out early Sunday morning to experience the indigenous vegetable market in Cotacachi. 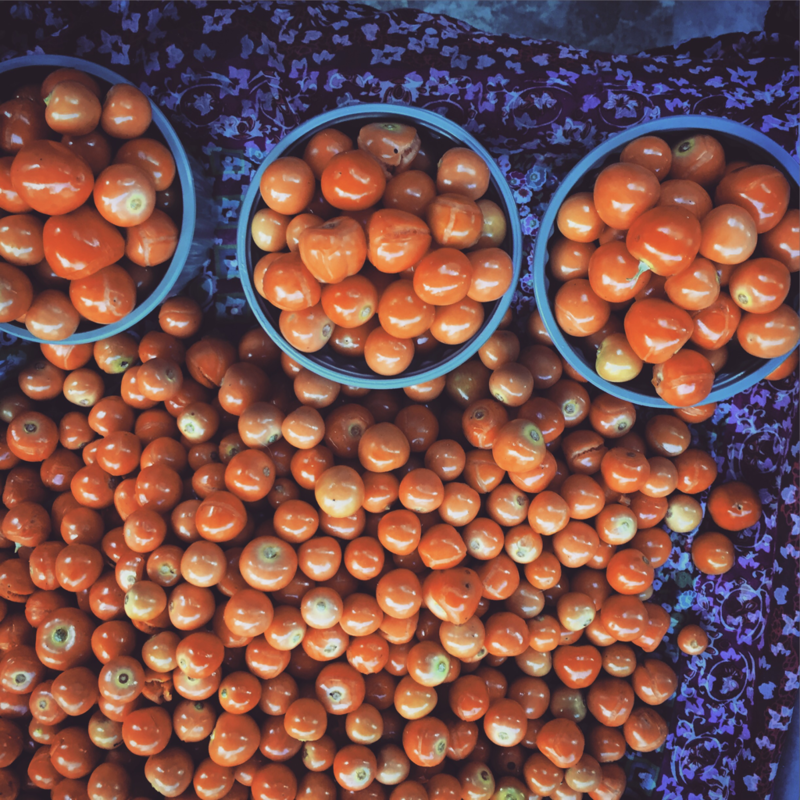 Certainly a happening place, the narrow alley was filled with humans, grains, tubers, vegetables, fruits, and herbs. In the photo above: maiz, triga, magui y mora. Here chamomile stems, leaves and flowers are used to prepare tea. 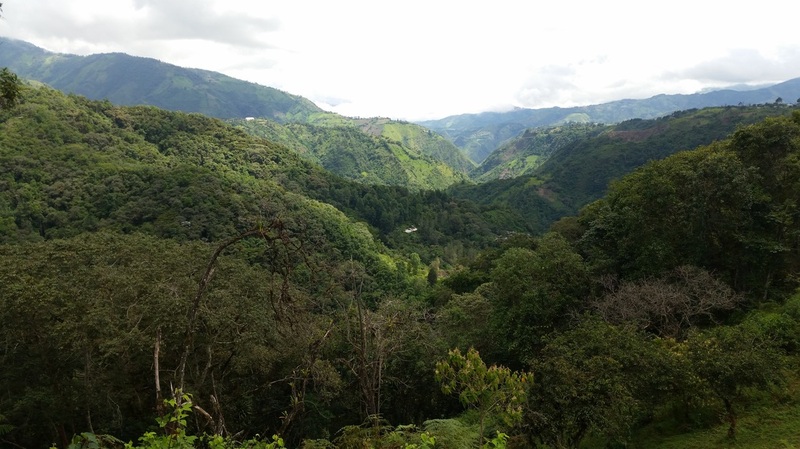 From our hostel in Cotacachi, we took a van up to the national park of Cotacachi Cayapas. 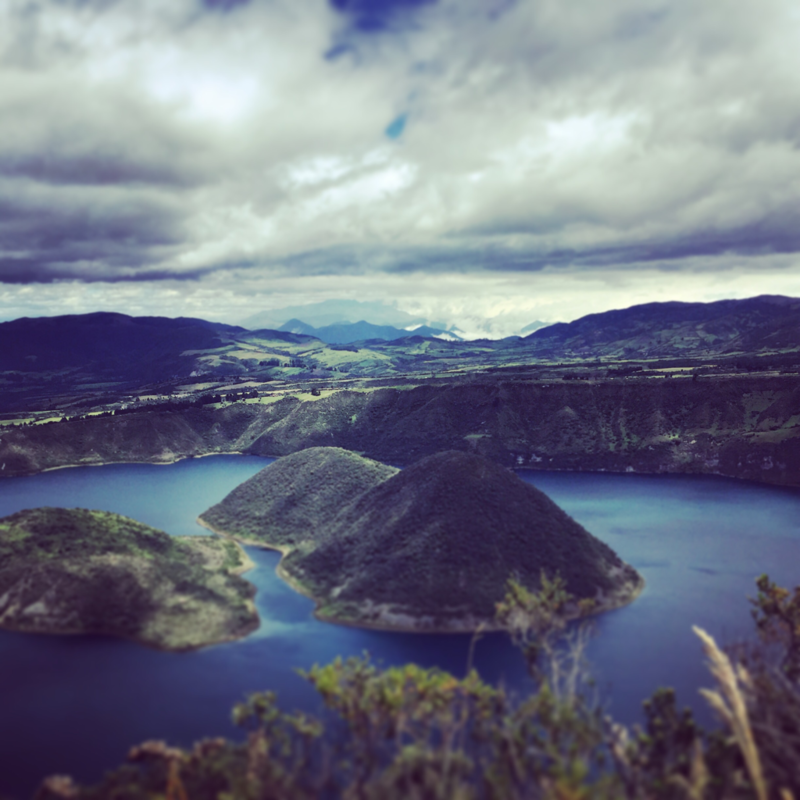 There we embarked on a 14km (8.7 miles) hike around la Laguna de Cuicochi. Gasping for breath at an elevation of just over 10,000ft, we stopped frequently to listen to Claudio Moralas. We learned about nearly every plant along the trail. 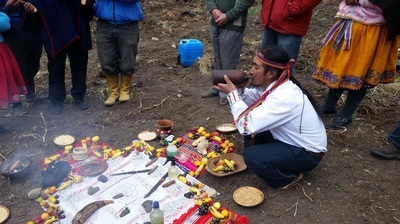 Claudio explained the medicinal uses of plants, identified gorgeous and unique orchids and wild Andean onions, and demonstrated the dying effects of the sanchi plant. 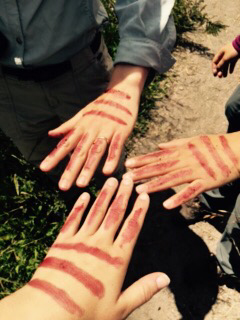 Obsessed with the rouge juice of sanchi, our hands, faces and hair were soon covered. Later we discovered it was an effective sunblock. Too bad we didn't apply sanchi to our ears. We we remained high above the lake, but learned there are no fish to be caught. All the fish of the lake died several years back when the active volcano's toxic gases bubbled up into the caldera's waters. You can hire a boat to float the waters, but access to the caldera's two islands closed after devistating human-caused fires ripped through both islands. 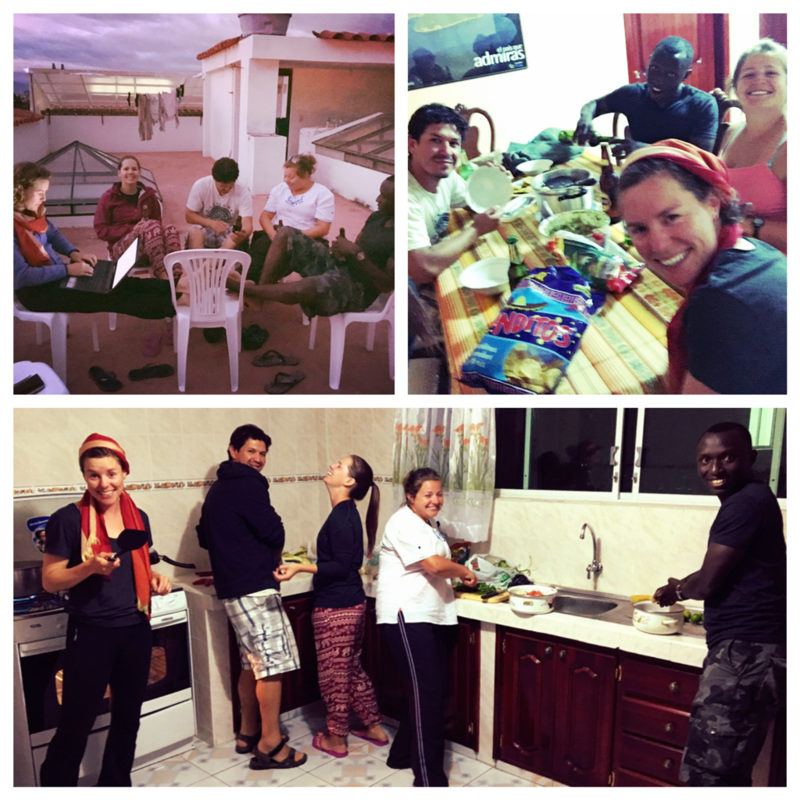 Throughout the trip, we have had the privilege to dine at many different places and eat many different things. One thing we always have at meals, however, is jugo or batido. 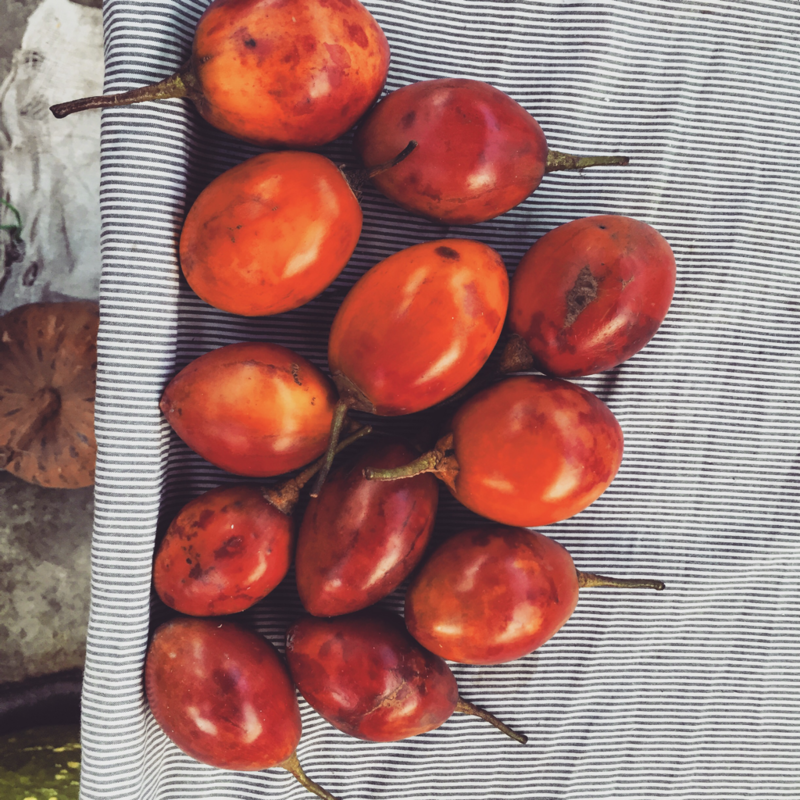 Thus far, the ingredients have consisted of fresa y naranja, piña y yerbabuena, tomate de árbol, mora, papaya, guayaba, coco, tamarindo, durazno, y maracuya con tomate de árbol. 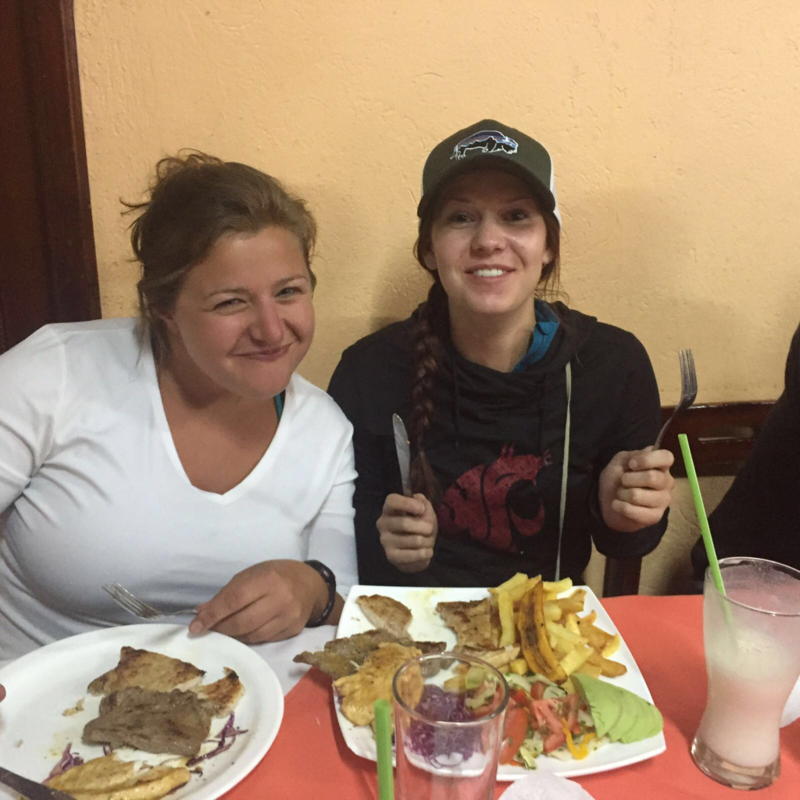 The first night in Cotacachi, Janel and Macy ordered a 'Plato tipico' at the Restaurante de Turistas. This actually meant a plate with three steaks of different types of meat. Luckily, the girls had planned on splitting it. After eating out a few times, us Cougs decided to purchase ingredients at the market and make our own dinner in the kitchen of the hostal. 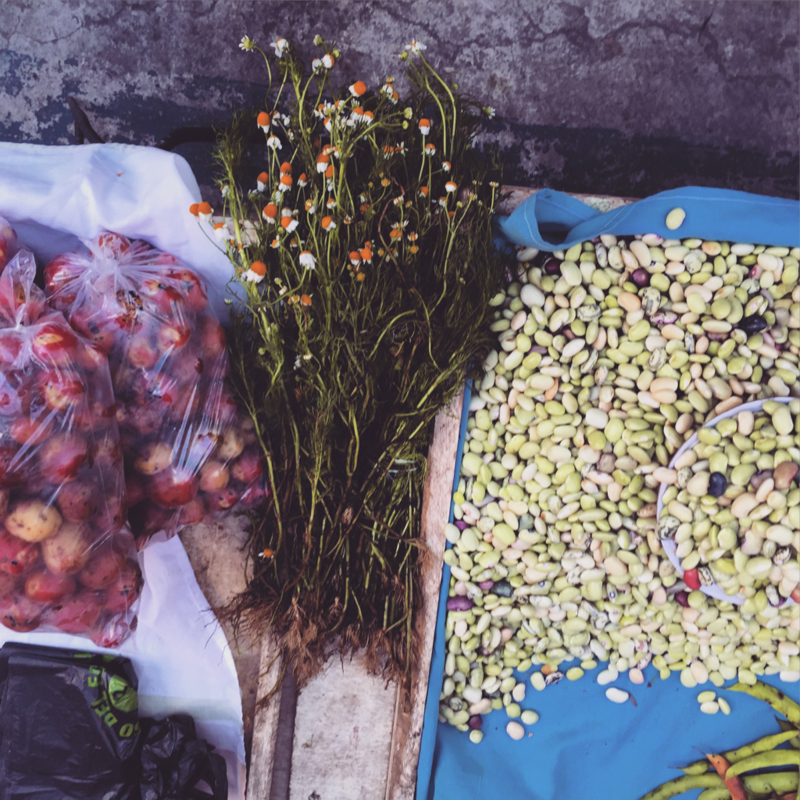 From oca to melloco, pataconos and possibly the best guacamole ever made, our bellies were filled with food while our hearts were filled with joy and laughter. Todos tenían buena salud y felices. 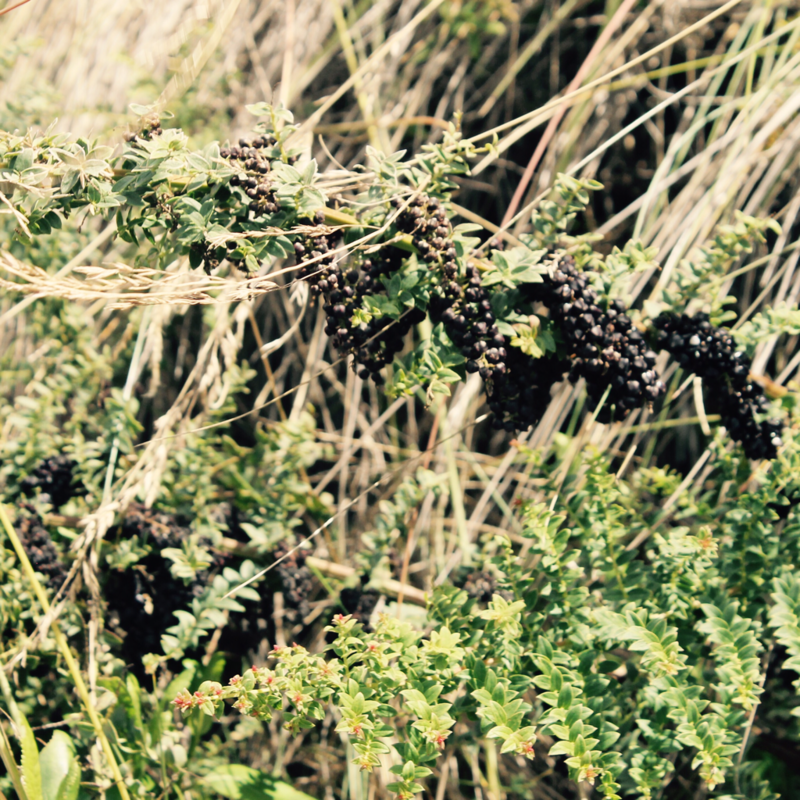 Unidentified pest that's affecting quinoa and chocho. 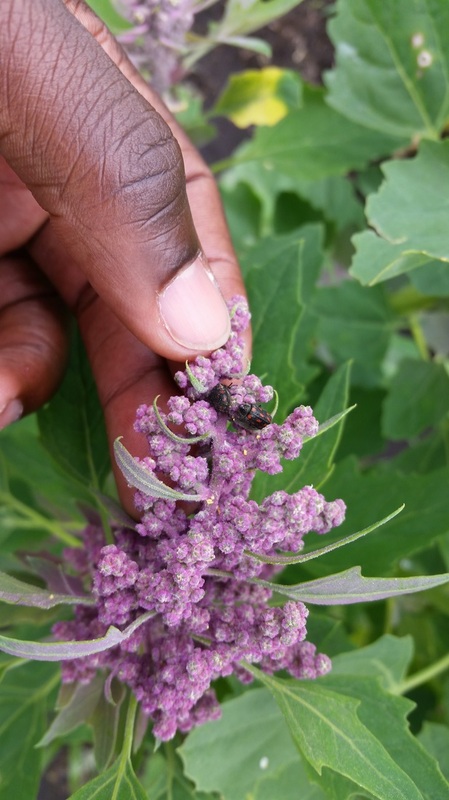 According to INIAP researchers this pests spread the pollens and cause cross pollination between quinoa. 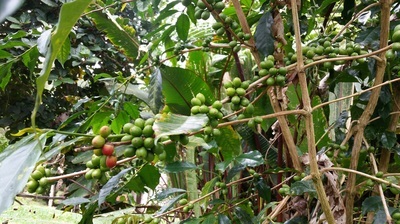 This causes issues such as luck of homogeneity of varieties. As part of Sustainable Seeds Systems Lab, one day before the whole #agroCOUGology group arrive in Ecuador for the Faculty-Led agroecology class, few of us; Kevin, Leonardo and Cedric got the opportunity to visit the Instituto Nacional de Investigaciones Agropecuarias (INIAP) - Santa Catalina Station. 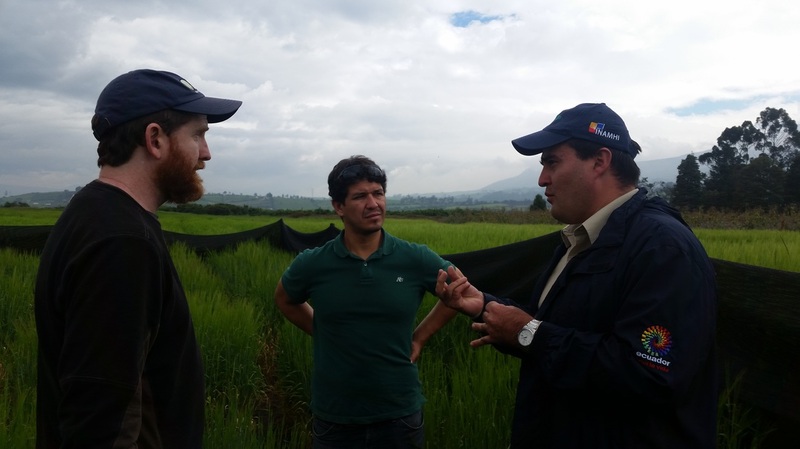 At INIAP, we were well welcomed and met the Andean Grain breeding program and Cereals breeding program as well. We were given a tour in the quinoa fields guided by Angel Murillo, Laura Vega, and Nelson Mason. 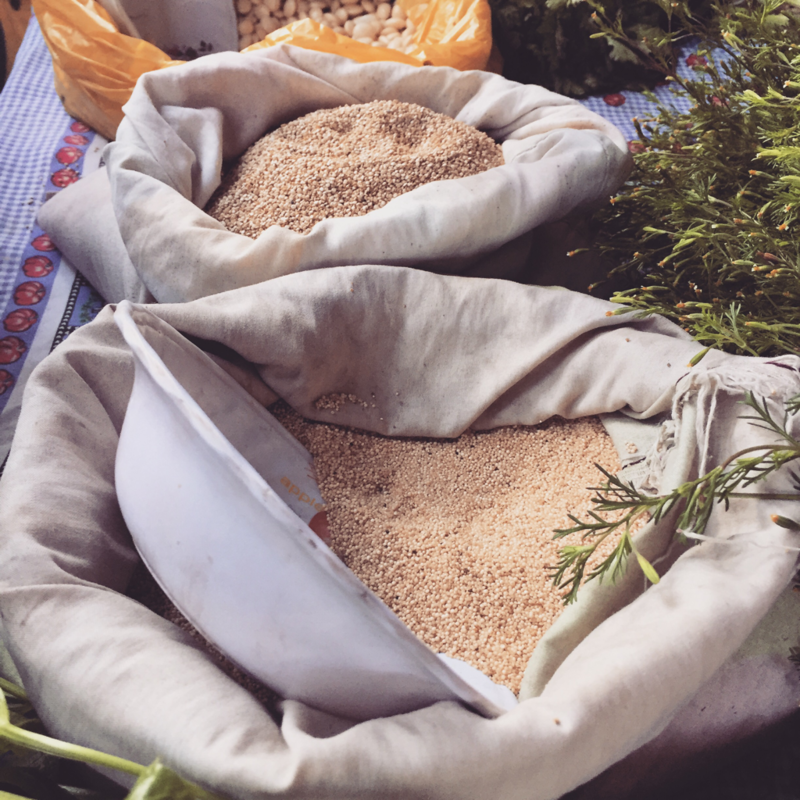 We had the opportunity to see the advance lines of quinoa among Pata de Venado (Deer feet) and Tunkahuan variety with some quinoa varieties from Bolivia. 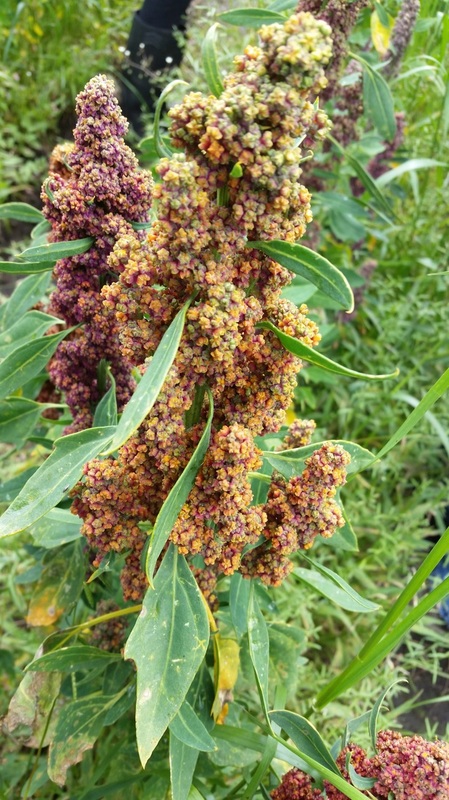 Besides, we had the chance to observe the large diversity of quinoa, for instance different grain colors (black, white, brown, and red). Another interesting part of the tour was to find plots of habas bean and andean lupin (chocho) between the quinoa trials as borders in the same field helping in pests and disease control. 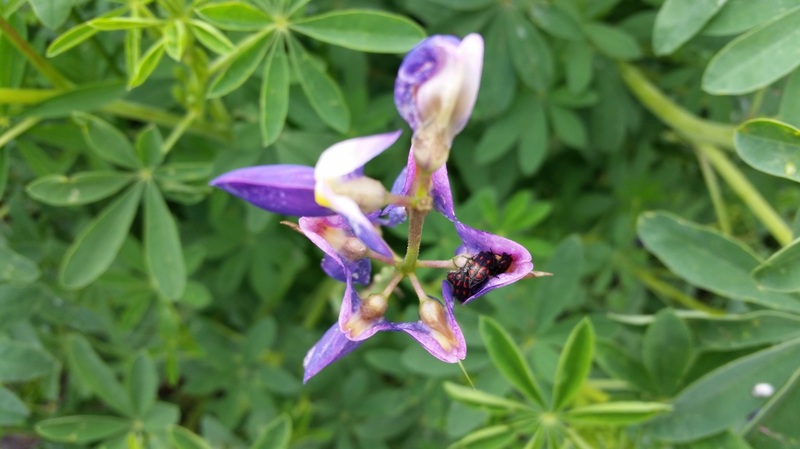 Andean Lupin ( chocho ). Javier Garofalo, the leader of the wheat and barley program, and Charlie Barnes, the rust specialist welcomed us and showed us the different trials in the field. Barley variety trials were grown on approximately around two hectares. Among the varieties of barley grown at INIAP, 30 of them are malting barley lines from Washington State University (WSU) and were provided by Sustainable Seeds Systems Lab (SSSL). All the 30 lines were established with success in Santa Catalina conditions. 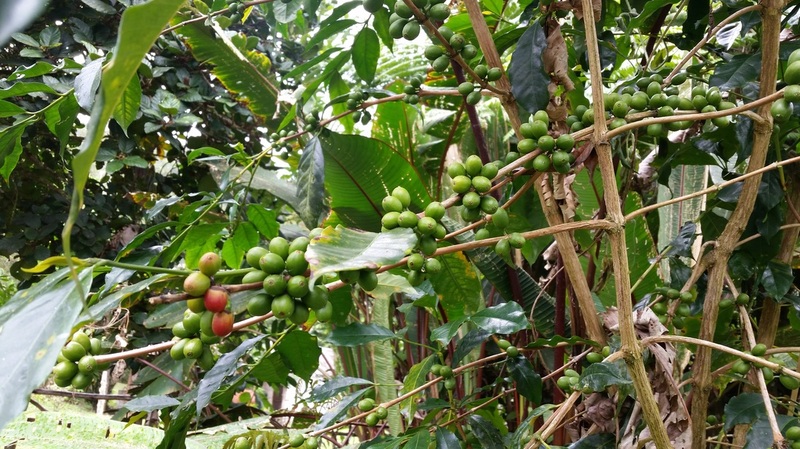 According to INIAP in their colaboration with Sustainable Seeds Systems Lab, the next step will be to evaluate the yield, the malting quality, and increase seeds to conduct new variety trials in the next season. Javier explaining us about the barley line in the field. 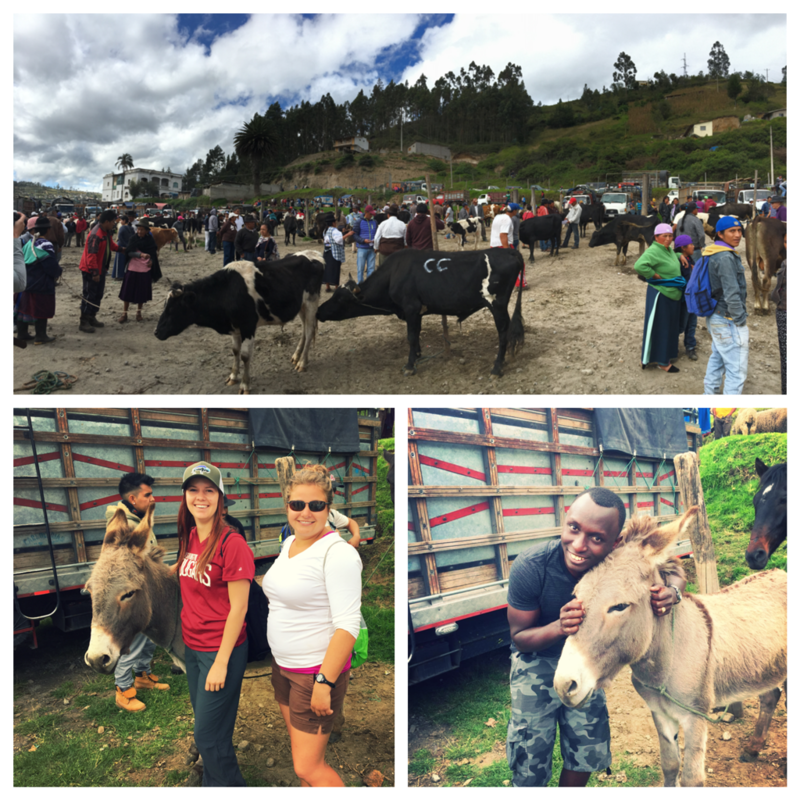 In Otavalo, the animal market begins early Saturday morning (at about 4am). 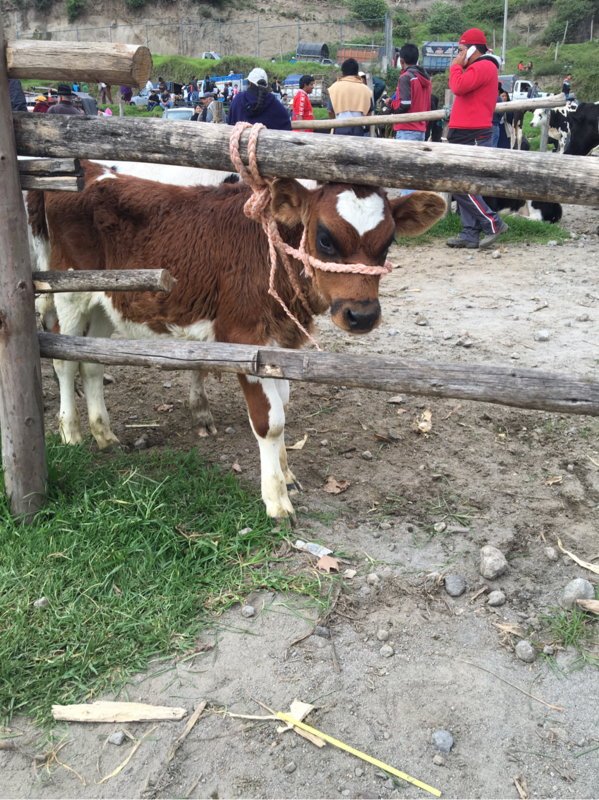 The market is organized from biggest to smallest, starting with vacas, caballos and burros, followed by chanchos and ovejas, and ending with cuy, pollo, patos, and conejos. It was tempting to take home this little cutie, as he was only 38 dollars. When purchased, pollo were often carried in sacks (bolsas de pollo real). This meant that you had to be careful not to step on any bags lying on the ground, that is until you checked to see if they were moving. The group almost came home with a burro as well, he was very sweet and seemed to like the attention. Overall, it was a good day at the animal market, full of pig squeals and mierda. 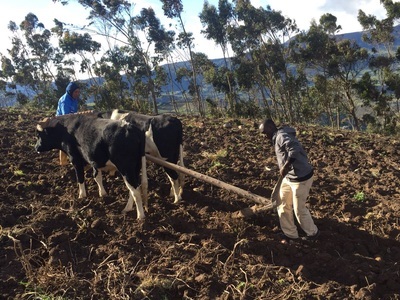 “If you are going to farm, do it together. Farm with your partner." 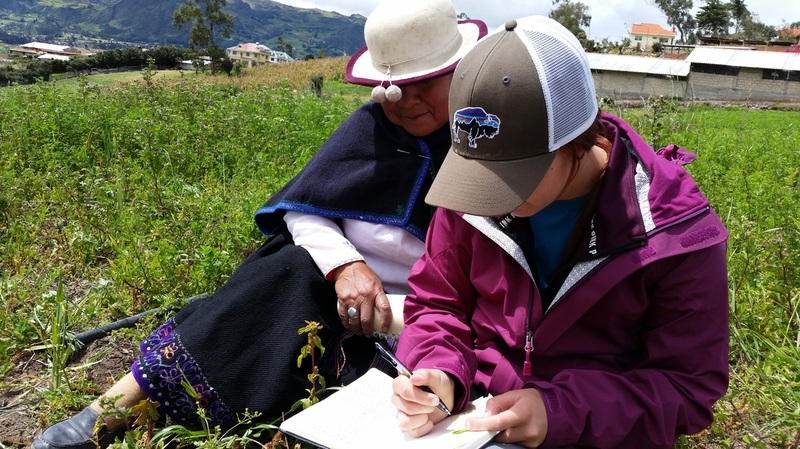 2016 is the first year for Kevin Murphy’s Neotropical Agroecology class in Ecuador. Students will spend two weeks in Ecuador meeting with, learning from and working alongside farmers, artisans, naturalists and/or ecologists in two distinct ecosystems. 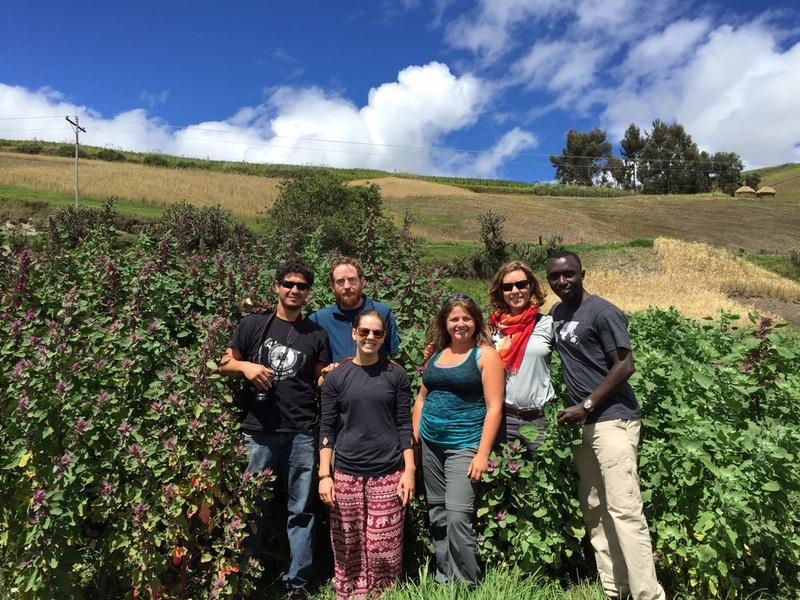 During the first week, we will focus on the agroecology and social ecology of northern Ecuador. 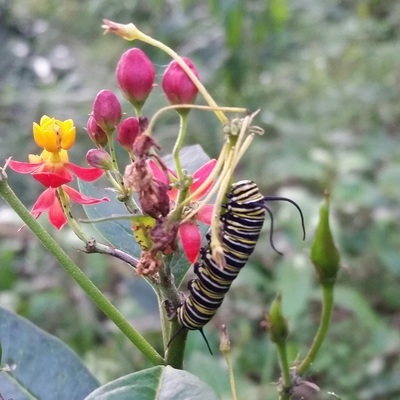 This will include visits to Puembo, Cotacachi, Otavalo and Peguche in the Andean highlands, followed by three days in the Intag Cloud Forest region on the western slope of the Andes Mountains. 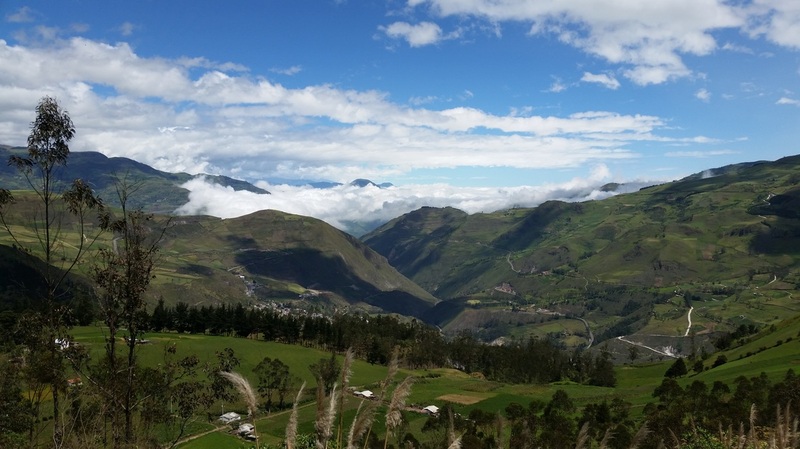 The second week will be spent in Quito area in Ilalo, followed by a journey south to the high altitude areas around Riobamba and Cañar. 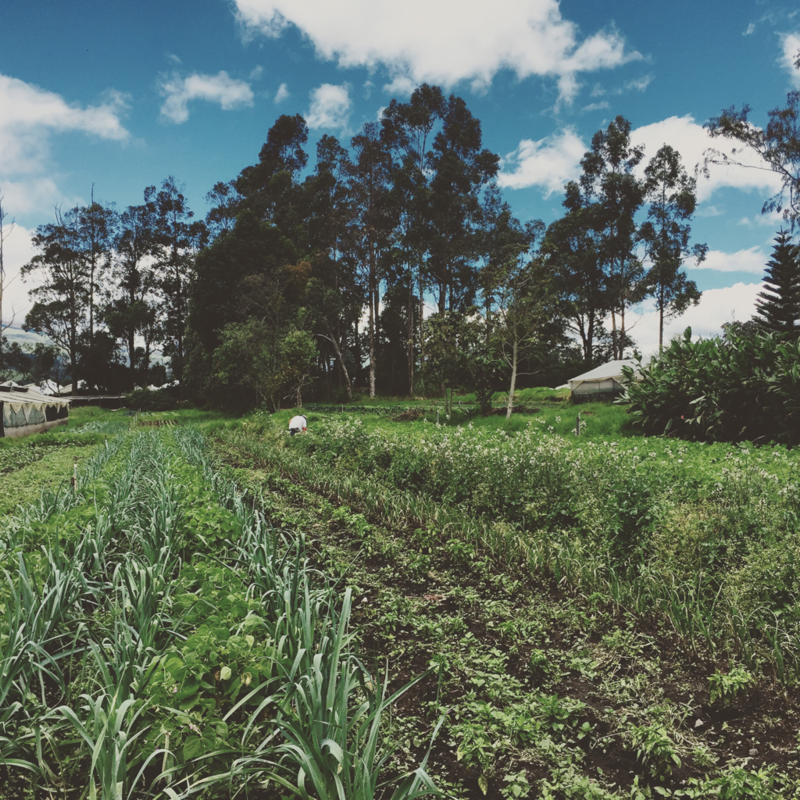 In Quito, we will visit agrosilvopastoral farming systems, seed sovereignty organizations, local farms, Slow Food Ecuador, among other exciting adventures. 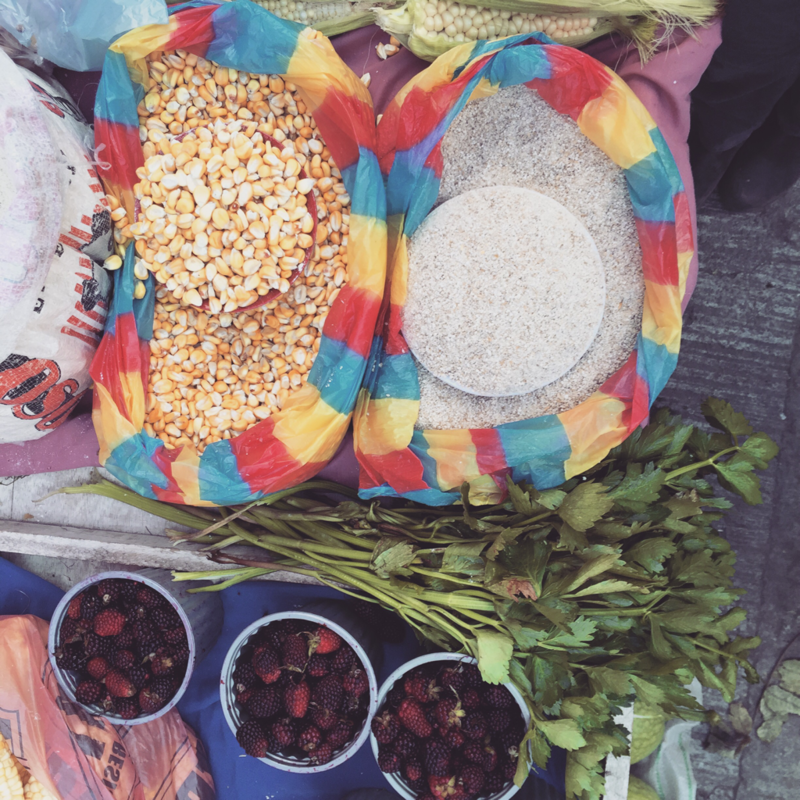 In Cañar, we will visit and work with an indigenous Cañari farmer association of seed and grain producers. The trip will end in Cuenca, the third largest city in Ecuador. 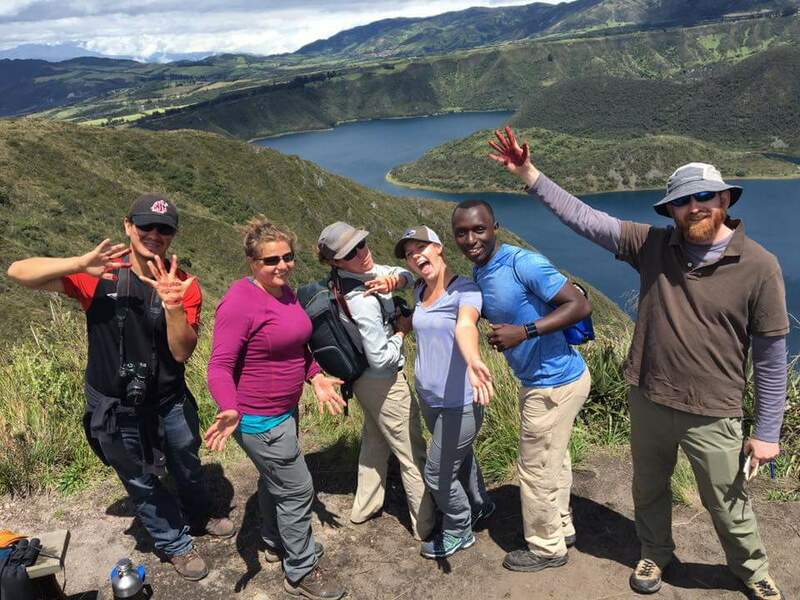 We invite you to virtually join us on this trip by checking in on this page where we will be posting photos and sharing our experiences while we are in Ecuador.